2019 OVATION Awards: Time to celebrate! April 12, 2019: All 2019 OVATION Awards entrants were sent a one-page evaluation with scores and brief comments from our judges for each entry submitted. The email was sent to the person and email address listed as the main contact (entrant) on the OVATION Awards online entry system. It is the responsibility of the entrant to follow up with the IABC/Toronto office if results have not been received by April 15, 2019. End of April 2019: The 2019 OVATION Awards winners will be announced. OVATION Awards Gala May 29, 2019: Register on or before May 17, 2019. Don’t miss out – register now! Have a question or want to learn more about our OVATION Awards program? Check out our 2019 Call for Entries or reach out to the IABC/Toronto office at toronto-info@iabc.to. 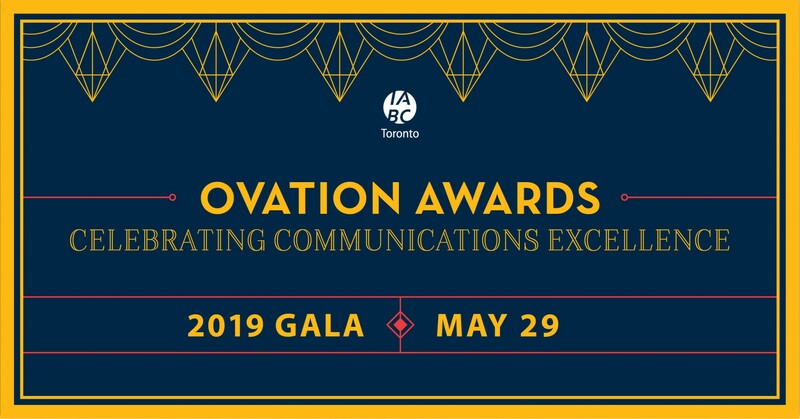 The annual OVATION Awards Gala is IABC/Toronto’s largest event, attracting the GTA’s brightest business communicators, prominent guests and the most innovative teams from agencies, corporate, government and not-for-profit sectors. Sponsoring the OVATION Awards provides great opportunities for showcasing your products and services! Platinum Sponsor • SOLD – Maximum Gala exposure and benefits, including name/logo throughout multimedia presentation and online, recognition in IABC/Toronto e-Lerts (including a customized sponsor message), maximum social media exposure, one-page advertisement in the Winning Entries PDF, signage at the Gala, and much more! Cocktail – Cocktail sponsor recognition throughout the cocktail hour including signature cocktail drink designed and named after your company, name/logo recognition in multimedia presentation and online recognition with link to sponsor’s website and much more. Photobooth • SOLD – Our guests love the Photobooth! Be the official sponsor of the Photobooth and have your company logo displayed in the background of all the photos taken! Sponsorship also includes name/logo recognition in multimedia presentation and online recognition with link to sponsor’s website and much more. Tweetwall –Be the official Tweetwall sponsor and have your company logo prominently displayed. IABC/Toronto is known to trend during the Gala! Sponsorship also includes name/logo recognition in multimedia presentation and online recognition with link to sponsor’s website and much more. Silver Sponsor • $1,500 (3) – Recognition in multimedia presentation and online, including two complimentary tickets and more. Bronze Sponsor • $1,000 (2 remaining) – Opportunity to present one of the select award categories with name and logo recognition in multimedia presentation, printed program, online and more. IABC/Toronto members have FREE access to OVATION Winning Entries booklets for years 2005 to 2010, 2012 to 2015, and 2017 to 2018. Non-members can purchase access to these booklets for $40 plus HST by calling IABC/Toronto’s office at 416-968-0264. Want to view photos from our past OVATION Galas? 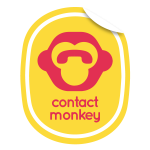 Click here to view them on our Flikr page. The OVATION Awards began in 1985 when Master Communicator, Ken Cherney was asked to lead a team from the IABC/Toronto chapter to examine the existing awards program, which was then called the Toronto Accolades Program. After some consideration, the team determined the rules and regulations upon which the OVATION Awards program was based. The IABC/Toronto OVATION Awards offers the Greater Toronto Area (GTA) communications profession an opportunity to present its best work. It celebrates and promotes excellence from the communications profession and fosters a greater appreciation of it.